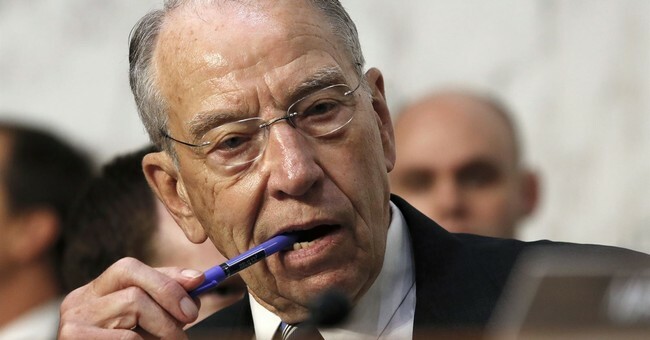 UPDATE: Chairman Grassley has responded to the letter, denying Dr. Ford's allegations. The Senate Judiciary Committee asked Christine Blasey Ford to come forward and testify on Monday about her accusation against Supreme Court nominee Brett Kavanaugh. She claims he sexually assaulted her in high school, over 36 years ago. She has not accepted the invitation to tell her story publicly in Congress, however, puzzling many senators. Tuesday night, her attorneys sent a letter to Chairman Chuck Grassley explaining their client's hesitation. They claim that the committee was trying make Ford testify at the same table as Kavanaugh. "While Dr. Ford's life was being turned upside down, you and your staff scheduled a public hearing for her to testify at the same table as Judge Kavanaugh in front of two dozen U.S. senators on national television to relive this traumatic and harrowing incident," the authors allege. Ford's lawyers end the letter by noting they hope the parties concerned can work something out in a way that will protect Ford's "health and security." You can Ford's full letter to Chairman Grassley here.